In 1538 Italian family Bucelleni moved from Planina pod Golico to Stara Sava. They built a manor and a foundry, which earned a lot of money in a short period of time. In 1686 the Bucellenis became counts. Valentin Ruard, a Belgian merchant, bought the plant and the manor in 1766. Three generations of the Ruards lived in the manor and in 1871 it became the property of the Carniolan Industrial Company. Since 1954 the manor has been housing a museum. 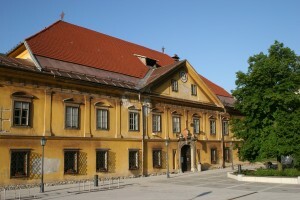 It had been the Jesenice Ironworks Technical Museum until 1990 and since 1991 it has been the registered office of Gornjesavski muzej Jesenice. Today it houses a permanent ironmaking and mining collection.